Some kids take to bath time like little fishes in water. Some kids just seem to hate it. When you have to deal with the latter, it can make baths a frustrating chore for everyone. If you are trying to get your little one to enjoy the bath a little more, it may be a simple fix like choosing a better baby wash or changing the time you have baths. Try some of our tips for a more peaceful bath time. One of the best ways to get kids distracted from all the washing and start loving some time in the water is to fill up the tub with bath toys. Add some new ones to keep it interesting if they are getting bored. The tub is also a great place for temporary art too. Crayons and paint that are designed for tub use, and you can let your child let out their inner artist. Then just rinse it all away for mess-free fun. Another way to bring more toys into tub time is to allow your child to bring a favorite (waterproof plastic) doll and let them wash its hair too. 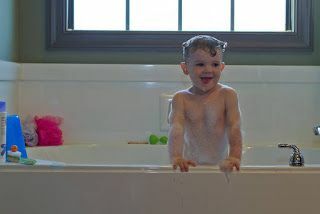 Kids aren't always in the mood for baths at your usual time, so you may find a more cheerful participant if you go with morning baths instead of evening ones (or vice versa). It may seem a little trivial but it can make all the difference. Or even just letting your kids make the decision on this can offer a little control to the activity. Most kids hate bath time because they don't enjoy getting their hair washed. One of the best approaches is to get a "bath visor". These are plastic or rubber hats that fit around the forehead sort of like a summer sun visor. As long as they fit relatively snugly, they keep all the water and shampoo out of the face and eyes. This one may not seem reasonable to parents who subscribe to the bath-every-day approach. But current medical thinking suggests that kids really don't need to be washed that often. 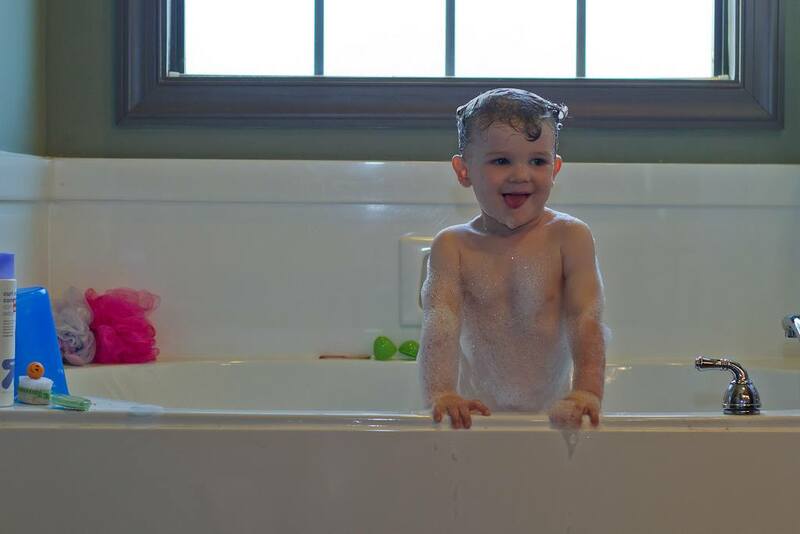 If a bath ceases to be a daily "chore", a lot of kids will be less upset by it. A little music in the background can be a great distraction during bath time. Just keep the player away from the water, just in case there is a lot of splashing going on. Get your kid singing along and they'll lose track of time and forget they're getting their hair washed at all. Maybe the shampoo stings too much if it get in their eyes, or they just don't like the smell of the soap you use. Find a fun and kid-friendly line of products and let your child pick the scents they like best. You can't go wrong with lots of bubbles or anything that colors the water while you're washing. And frankly, some children simply don't enjoy baths and water, and you may simply have to work around that. Keep them short, or even switch to showers for older kids. That may be more to their liking. Dear Lux, Lots of good tips for bathing the little ones. Thanks for sharing! Ah! Right on point. 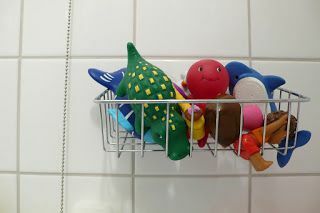 My daughter loves toys during bath time. 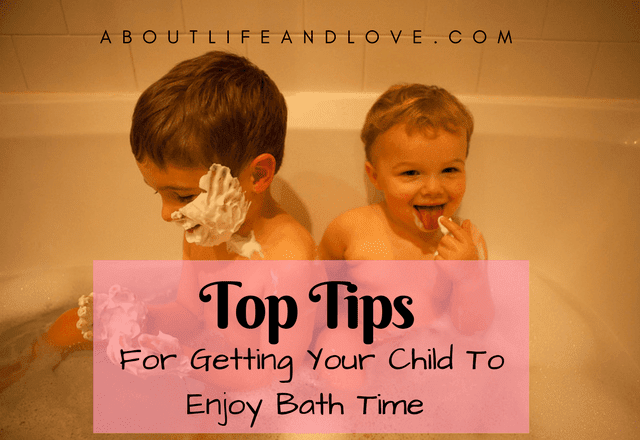 Enjoying the bath for kids means wasting lots of soap and shampoo! These are great tips. I like the visor for making hair shampooing easier and the music idea. I know that the toy idea works, I use that one. Thanks for sharing.